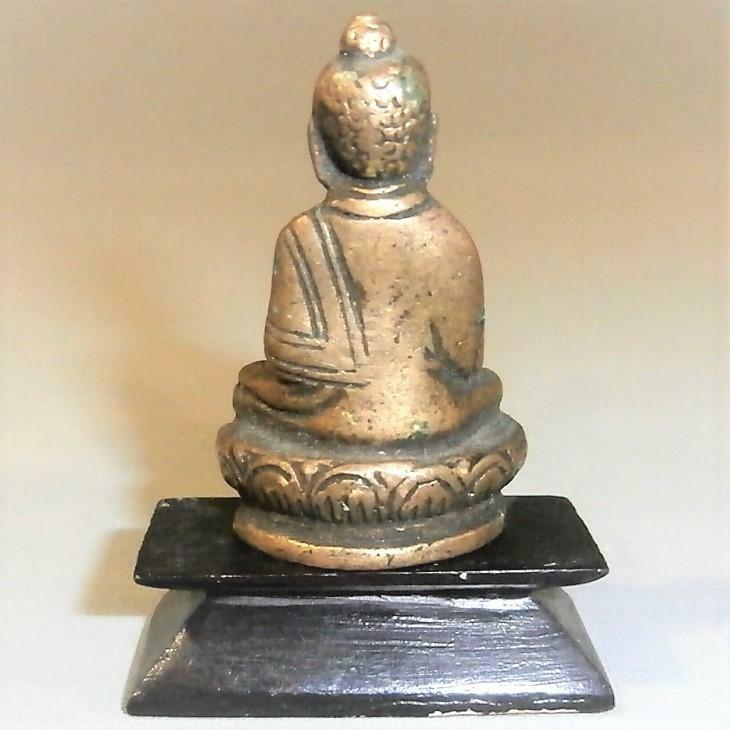 Small Chinese domestic alter bronze Buddha in meditation, seated on a lotus with stand. 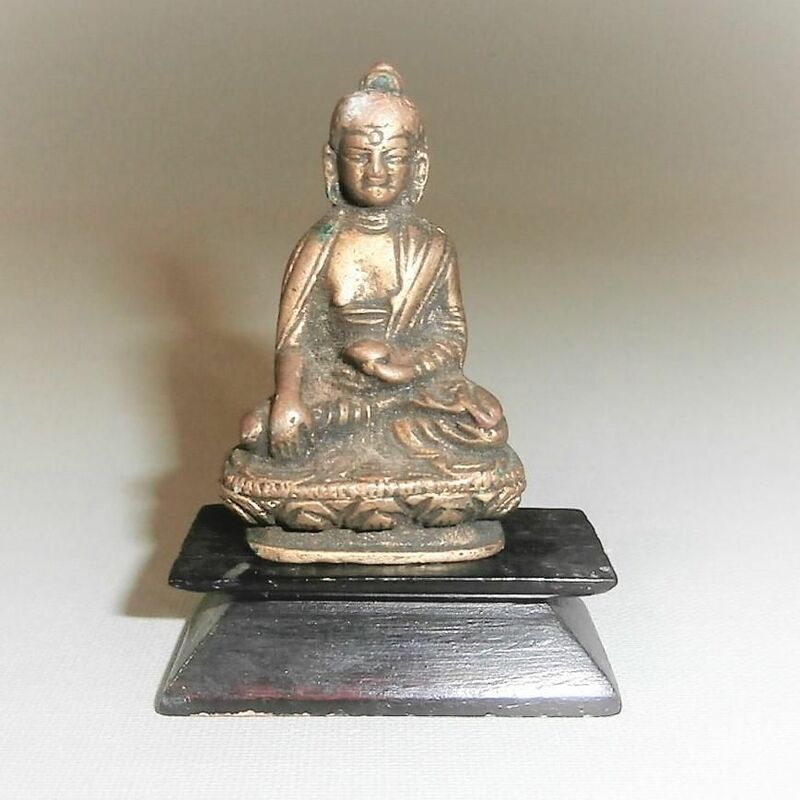 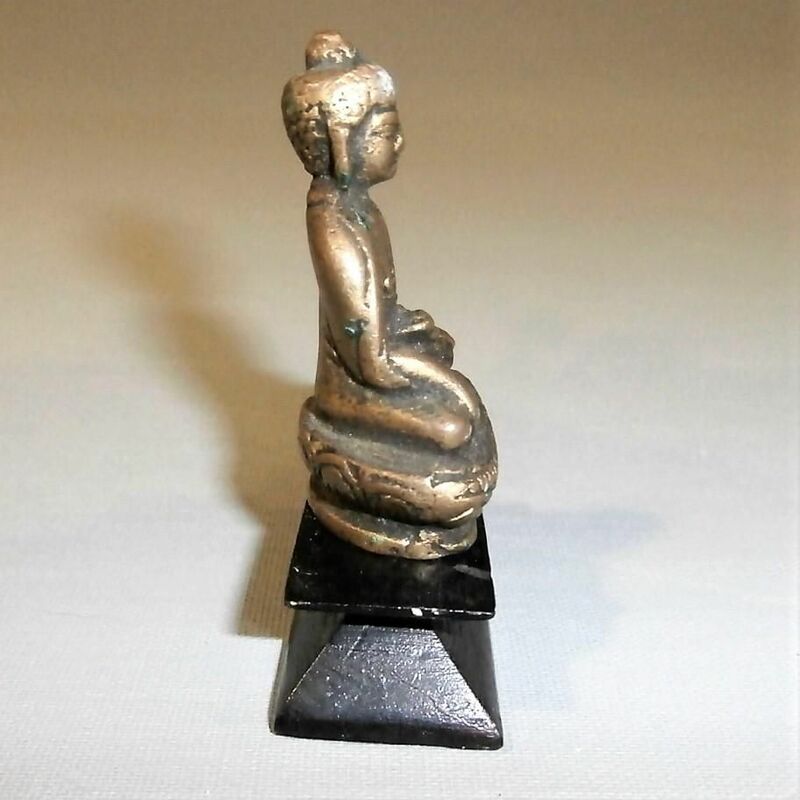 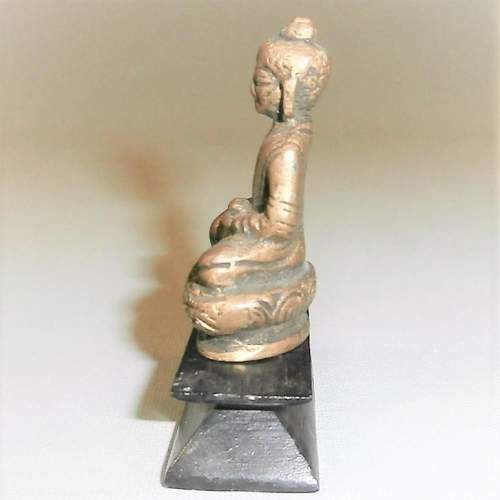 Small Chinese domestic alter bronze cast as Buddha in meditation, seated on a lotus 5.5cms high, hardwood stand. 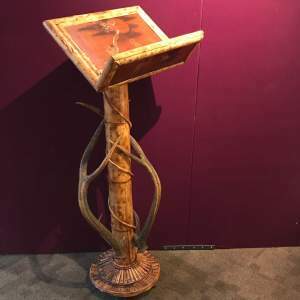 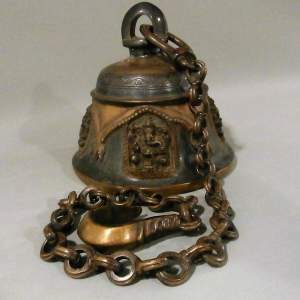 Measurement shown are without stand.